It’s time for what is the weakest Disney short so far. I don’t really think it would be right to blame it on Pluto here, but at the same time I have always suspected that he isn’t quite ready for the big time. He’s better as a supporting character than in the lead role. This special just isn’t all that fun and reminds me why dog shows like this one are more sketchy than anything. 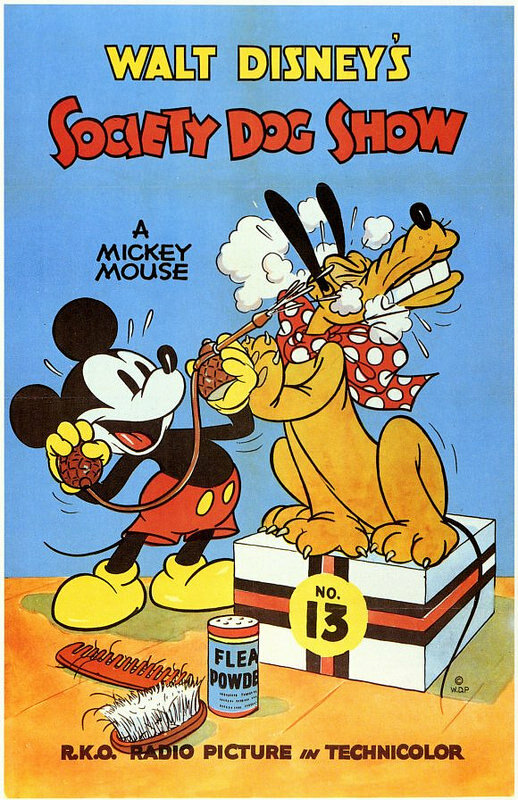 Mickey brings Pluto to a dog show to show that high society aren’t the only ones with fashionable dogs around here. It’s a noble sentiment but seeing as how the judge is one of them I suspect there is already some bias in the equation. There’s no time to think about that though as a big fire starts and Pluto has to quickly turn into the hero that he always knew he could be. It’s a pretty emotional climax there and the special would have been better if it had started with the fire and abandoned the intro. The scene that is the most drawn out is when the appraiser is messing with Pluto. Pluto tries to grin and bear with it, but the whole thing is pretty unreasonable so I wouldn’t have blamed him if he had tackled the guy right from the get go. Mickey shouldn’t have brought him here in the first place either. Pluto wasn’t having any fun and so it wasn’t fun to see him have to put up with all of this either. The special isn’t very long so it’s not as if any scene goes on for too long either, but the slapstick and comedy just wasn’t all that fun this time around. If a comedy special isn’t too fun…then what hope does it have of being all that solid? As always the animation is pretty smooth and fluid though. The fire scene is impressive because of how fast everything is going and you just know that the artists must have had to draw a considerable amount to bring all of these scenes to life. Disney really got big through their animation and inventing such colorful and memorable characters really sealed the deal. It’s a visual masterpiece even if the actual special isn’t really the best one that they’ve put out. Overall, I don’t think Society is ready for a dog show. Stick to the Puppy Bowl if anything since there they all follow the rules and don’t have to worry about bias judges. The second half of the special at least brings in a sense of danger and a lot of tension, but it isn’t enough to totally eliminate the first half. I’d say that if you are in the mood to check out a Disney special, watch one for one of the other characters. If you want to see Pluto then choose a Mickey Mouse special instead of a Pluto one. That is the optimal strategy here. This entry was posted in Animated Short Reviews, Animated Shorts, Reviews and tagged Animated Short, Animated Short Review, Comedy, Disney, Mickey Mouse, Pluto, Review, Society Dog Show, Walt Disney by dreager1. Bookmark the permalink.